Valentine’s Day is such a romantic day filled with promises of love and gratitude for those you love. It also falls in the middle of winter here in Colorado, so it is still a time to cuddle up under a comfy throw in front of a fire. Today, I am sharing some simple and elegant ways to spruce up your home with some Valentine’s Day Home Decor Ideas. Throw blankets add such warmth and coziness to a room. They are one of my favorite ways to give a room a little refresh for changing seasons or for a special holiday. There are so many ways to use throw blankets. I always bring this Mongolian Sheepskin Rug out at this time of the year! I love the warm texture it adds to any space. The only problem with it is that my Maltese LOVES it and is know to nap on it regularly! Using soft pink tones definitely adds a romantic feel to this space (in my bay window in my dining room). This gorgeous room has it all…pillows, throws and plenty of softness! To shop this whole room, CLICK HERE. And, this is another beautiful, soft and romantic space! 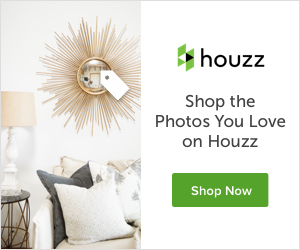 To shop this room, CLICK HERE. 2. Add simple, elegant flowers throughout your home. The sky is the limit here. You can use all shades of pinks, reds, magentas or even whites. To me, most flowers are romantic, no matter the color…right?! 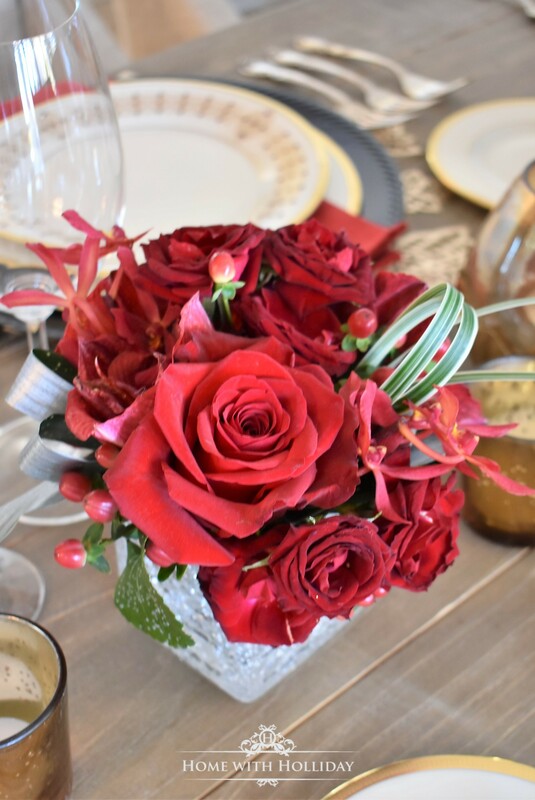 I used these monochromatic reds for a Wine Tasting Dinner Party we hosted earlier this month and they are perfect for Valentine’s Day. These blush pinks and whites are also perfect combination for Valentine’s Day. 3. Use color-coordinated coffee table books in your Valentine’s Day home decor. I love using coffee table books throughout my home and Valentine’s Day is no exception. Some of my most favorite coffee table books are red and pink. They are perfect to serve as a foundation for flower arrangements or other Valentine’s Day home decor. Here are a few other beautiful inspirations for using color-coordinated coffee table books (and fresh flowers!) for your Valentine’s Day home decor. 4. Candles, candles, and more candles! Besides fresh flowers, there isn’t anything more romantic than candles and candlelight. If you saw my collection of candles, votive holders, hurricanes, candlesticks, and candle holders you might think that I need therapy! You can never have too many. I especially love using candles in our bathroom…super romantic! Candles, fresh flowers, and a cozy throw…oh, so romantic! 5. Dress up your tables settings. I have only been blogging for a year now, but I do have a couple of table settings I have posted that would work great for a Valentine’s Day celebration. Both of these can easily be scaled down for a smaller number of guests or even for just two. You cannot go wrong with a table full of red flowers! To see all of the details of this dinner party, click HERE. Last year, I hosted a Galentine’s Dinner Party to celebrate with my girlfriends. For this function, I used a beautiful palette of blush pinks and golds to create this table setting. You can see all of the details HERE. This gorgeous soft pink table setting is gloriously simple and elegant and perfect for my friend, Lory’s, Sweet Galentine’s Party she just hosted. Once her party was over, she could still use the arrangements she created in other areas of her home while she waits for Valentine’s Day to arrive. I would be putting one of these in my bathroom, next to my bed and on my entry hall table. Each year, I vacillate with whether or not I want to use reds or pinks or both for my Valentine’s Day decor. I would love to hear which colors you prefer for this romantic holiday in my comments section below. Hopefully, this post gives you some inspirations either way. Here is a compilation of some of my favorite products to help get your home ready for Valentine’s Day, including a few fun items for your kiddos. Love how romantic this all is! Love so many aspects of this decor… but those pink books… stopped me in my tracks! Pinned! Love your idea of color-coordinated coffee table books! Would never have thought of that! So cute! Awww. I am so glad you liked it! Julie will be so happy to hear you came my way from their Link Party!! I appreciate your kind comments! Thanks for linking up at Homestyle Gathering, Holly! Hope to see you again next week!